Want2Scrap Corrugated Mini with Renew! products and wow, did I have fun with it! I received the "Retro Album" and had a tough time deciding on whether to do a traditional album, a banner or home decor. 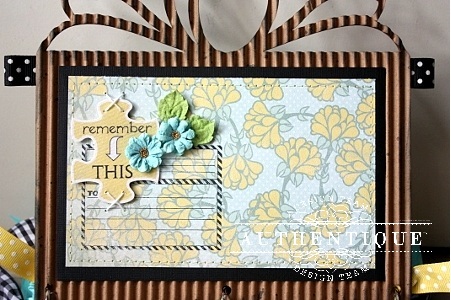 In the end, I was really wanting to use the "Renew Collection" as I hadn't had the chance to play with all of the cute file folders and punch-outs...I thought these would best represented in an album. In prepping the corrugated album, I inked around the edges of the flat sides with Memento's Tuxedo Black. On the corrugated sides, I used Color Shine Black Velvet Spritz. To the fancy ends (flat side only) I painted the areas with a white PITT pen by Faber-Castell. 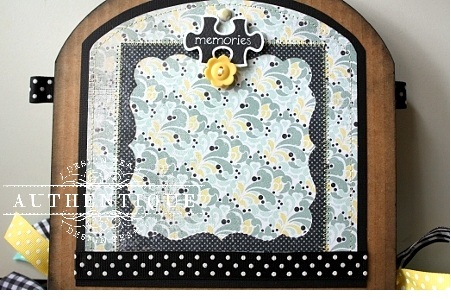 To the front cover, I layered a Renew patterned paper with one of the file folders and then embellished with a puzzle piece and flowers from Petaloo. Wanting to hide the area where the white pen marking met the corrugated board, I added a strip of gingham ribbon and then topped with Mother of Pearl Rhinestones by Want2Scrap. 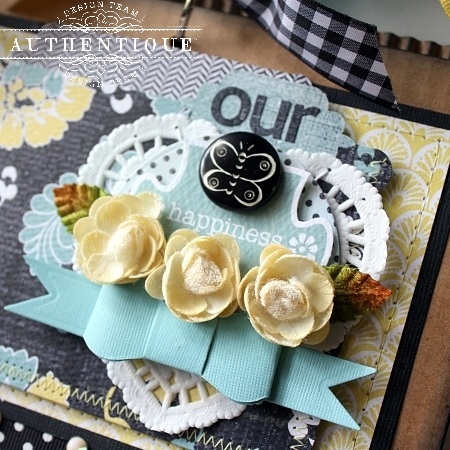 The next two pages feature Authentique's new Hampton Art Stamps and the beautiful flourish of adhesive pearls by Want2Scrap. I stitched the file folder together so that tags would be tucked inside. As you may can tell, I switched the pages around so that two flat sides would be together, as well as two corrugated sides...I thought it added even more interest :) Again, I used the different punch-out elements for the majority of my embellishments...when you layer them together with foam you have a whole new look! I removed the original centers from the flowers and added the large Mother of Pearl Rhinestones instead. The Tear Drop Pearls look perfect as the center for the punched butterfly! That's the end of my "Retro Album"...I hope you have the chance to try some of the wonderful Want2Scrap products and see how well they work together with Authentique! This is just GORGEOUS.... love all the embellishments and the ribbons! I don't have the kind of talent your wonderful designers have. But their projects always inspire me to make something beautiful. Especially love the blue bow. What a beautiful album with all that incredible detail and layers. Loved the matching of flat and corgugated pages. Wonderful job and excellent tutorial. I absolutely adore this mini album. 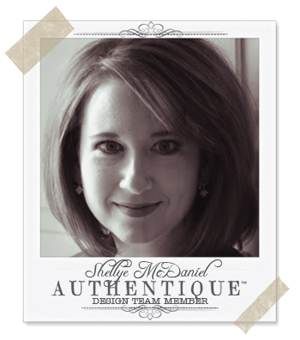 Mini albums are my forte and Shelly never fails to inspire. I would have never thought to take apart the petaloo flowers. Such a great idea. I've never worked with card board like this, gonna have to try it. Shellye...this mini is amazing! I love all the details! Oh wow this is just gorgeous! the renew collection is fab! Very cute album, I love Want2Scrap and of course Authentique...I use lots of both products...I need to go do an album thanks for inspiring me to do just that. Gorgeous album Shellye! I love this paper collection - I think it's my new favorite! Better get my hands on some :) This corrugated album is definitely on my need to have list also! 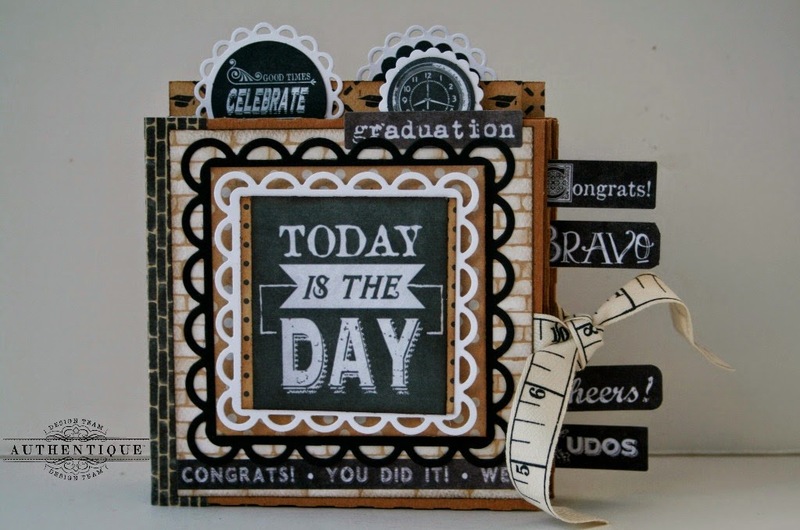 I actually won the complete set of new stamps so I am thrilled to see you have used them! 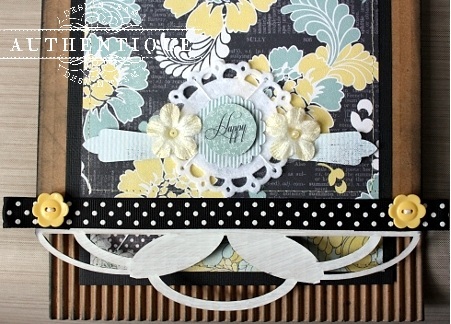 I love the way you made those gorgeous tags with the file folders! Just love everything! Wow...That is stunning. 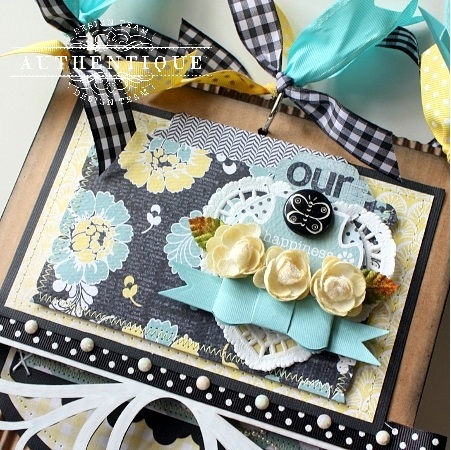 Those papers and embellishment give the corrugated album such an elegant feel. Love it. So many lovely techniques and elements. I especially like the file folder and tag page! Awesome Mini! 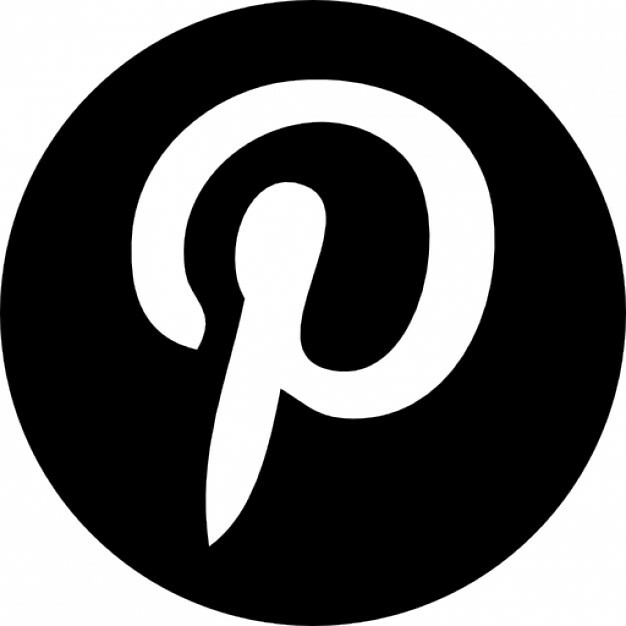 I pinned it :) You are right-the Want to Scrap products are perfect with this collection! I like how you used 3 different ribbons---they pull it alllll together. Background papers are beautiful - the colors work so well together. The mini-album is very detailed with lots of little extras just waiting to be found. Beautiful work. 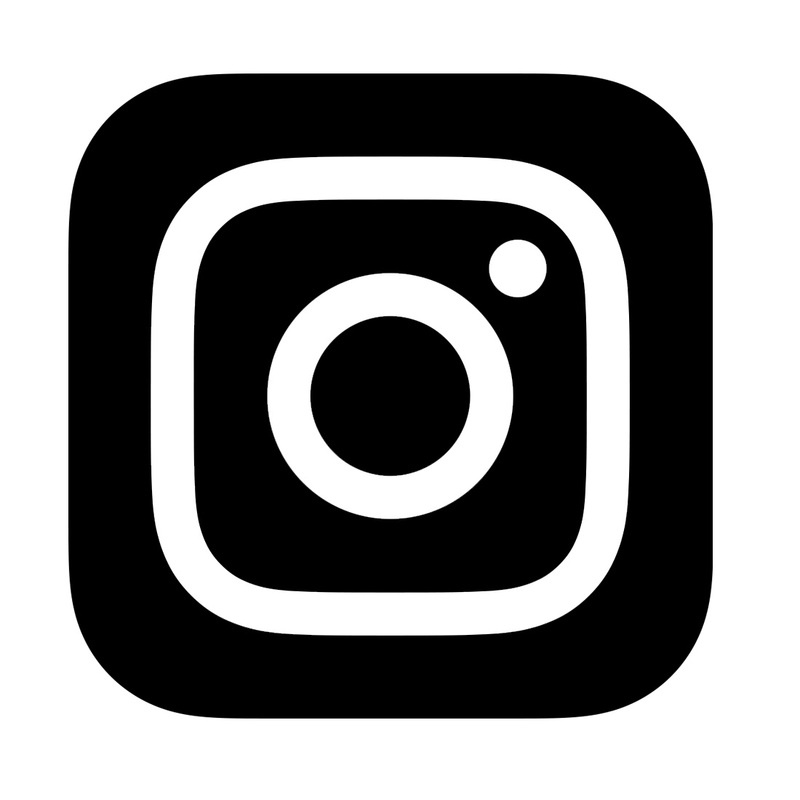 Thanks for all the photos. Your black, yellow, and Caribbean blue look gorgeous together. This colour combo looks amazing and so beautifully elegant! Fabulous work! This such a calm and soft color combo. I love the corrugated cardboard look - it adds dimension and pattern all in one. Not sure I understand why you used the PITT pen to "paint" - instead of using, well, paint? Beautiful color combination. Overall, very nice project. LOL I didn't have any on hand :) But yes, if you have paint, definitely try that too! Oh my ... I absolutely love this mini album. Great job and thanks for sharing! I love all the layering that you did with your album. There were so many pretty things for each page. I really need to learn to layer more on my projects so they can be as swoon worthy as yours. Thanks for sharing. Wow, this album is amazing. 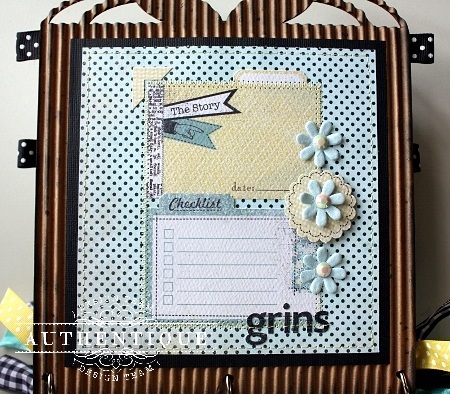 I love the colors you used and all those layered pages and embellishments. the corrugated paper gives wonderful texture! This is really lovely. I really like the texture of the corrugated cardboard contrasted with that beautiful paper and the embellishments. Will someone please help be pick my jaw up off the floor? 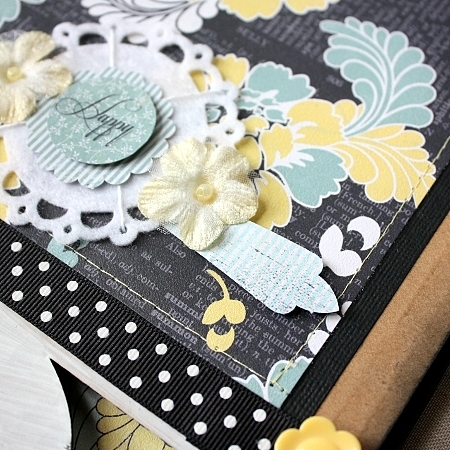 Wow, this album has everything- layers, patterns, pockets, stitching, embellishments, die cuts. Stunning! 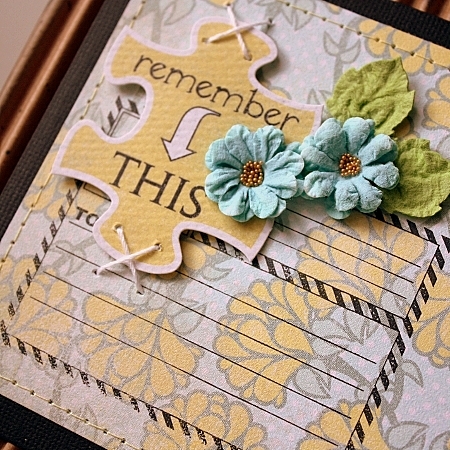 Great embellishments on your lovely album. Wow! This is absolutely beautiful! Love all the details! I TOTALLY LOVE TODAYS PROJECT! Gorgeous! Just stunning and the colours are just beautiful together. 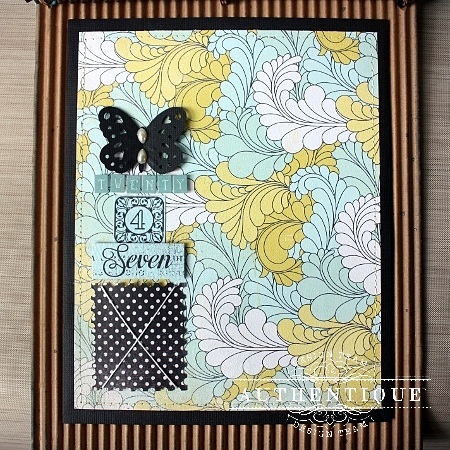 I think this is my favorite paper collection...luv this! loveing it and how all the colours go together and the way it is put togther is great also, thanks for sharing. Beautiful Shellye!! I love all of the cardboard!! So beautiful! 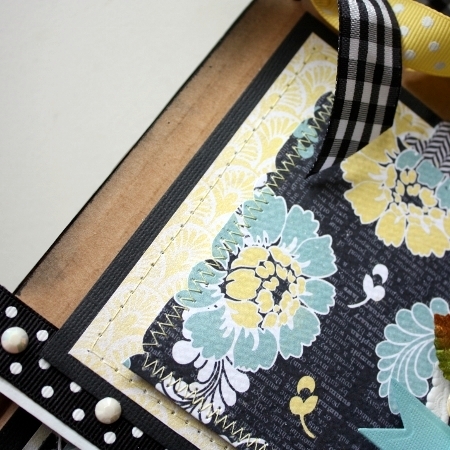 I just love that Gingham ribbon and of course the paper is just stunning! Gorgeous project! I love the white lattice at the bottom. Pretty color combo! Love the papers you chose! Everything I have seen with this Renew paper turns out so BEAUTIFUL! I love this paper, bought the pack but haven't used it yet. I am afraid to cut up all the loveliness haha! This album is amazing and definitely inspiring! 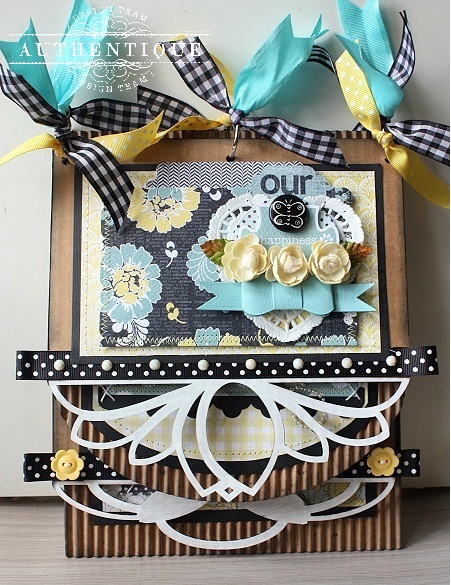 The ribbon holding it together is so pretty, the corrugated card board adds some neat interesting texture, and of course bling always tops off everything! 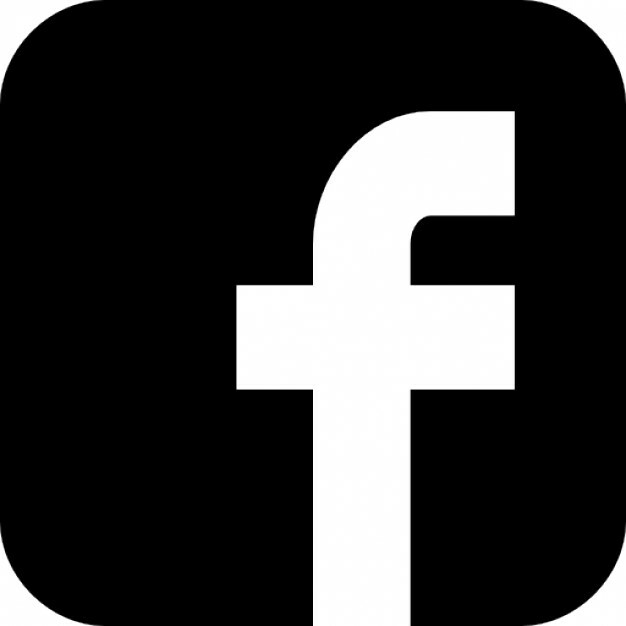 Thanks for sharing your projects! Just gorgeous and especially love this paper the best!